With Zic A+ and max sidewall pressure in the tires, you can easily cross 15. Changing the oil brand won't magically give a superb fuel economy. If your driving patterns stay the same, prepare to be disappointed. My Civic is currently using PSO 20w-50; look at the fuel consumption in my signature. zain bhai i bought a civic 2004 VTI PROSMATEC a week back its giving me 9 km/l . here i read u saying that i should have sidewall tire piresurre that i got done yesterday. p.s my driving pattern is smooth long routes and less stop overs inthe middle off the journey and my petrol station also gives pure petrol. Sir which application is this ? Average CNG: 700-800 KMS (NO AC) on full! don't u think 700-800km on a single tank is kinda funny? I hope your car is not being towed. 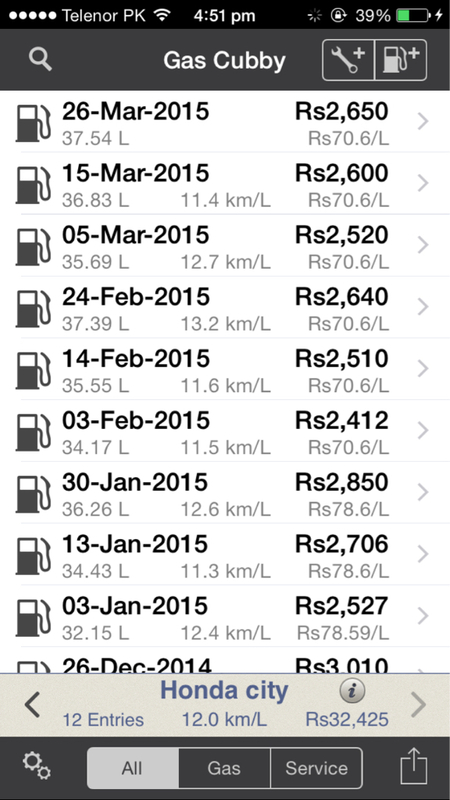 Had CNG installed, now solely on petrol. The best I got out of it was 11.5 Km/L when the conditions were extremely good. Can somebody tell me about fuel average of nissan b13 with Auto transmission GA15De??? P.S: My A/C isn't working. Well, I can't certainly wait for Toyota Mirai to become available for commercial use. It is one of the first hydrogen fuel-cell vehicles to be sold commercially. 300 Miles full tank solely on water! Holy ****.